Lucrezia Cuen Paxson is a clinical assistant professor in the Edward R. Murrow College of Communication. Going into education, she says, after spending her professional career as a journalist traveling the world was a natural progression. From the time she was very young, she says, she became accustomed to living among different people and cultures, sometimes in dangerous and inhospitable places due to her father’s work as a linguist for the Peace Corps. Those environments, she says, were always places of exploration and learning. Her career as a journalist began in California and Texas and led her around the world as a foreign correspondent, covering stories in Europe, Africa and the Middle East. Stationed in London for more than a decade, she reported on the Gulf War crisis, the war in Kosovo, the Irish Peace Referendum, the historic visit of Pope John Paul II to The Holy Land and Princess Diana’s death, among many other stories. Cuen Paxson joined the Murrow College in 2012. She founded the Global Engagement program for the Murrow College and the Backpack Environmental program. She led the Murrow Backpack Journalism program and developed the College’s first faculty-led study abroad programs to Cuba and Britain. Cuen Paxson teaches Reporting Across Platforms, Brand Journalism, Communicating Science and Technology, Broadcast News Reporting and Advanced Television News. 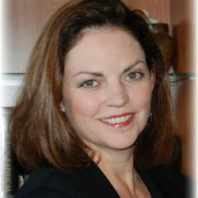 Her main research interests are American media and U.S. foreign policy, including American media coverage of the Middle East in the early 20th century. She is also interested in the ability of new delivery systems, such as social media, to bypass historic biases, to fill gaps in U.S. media foreign coverage and to impact U.S. foreign policy. Cuen Paxson is an avid oil-painter. Her artwork is displayed in numerous galleries in the Pacific Northwest.